Another new SYM model that delivers a good balance of price, performance and quality, the RV1-2 Sports is a sure winner for the Taiwanese brand. After the success of the entry level Bonus X, Mitsukoshi Motor Phils., the exclusive distributor of SYM motorcycles and scooters from Taiwan, introduced another new model to continue their momentum in the market. 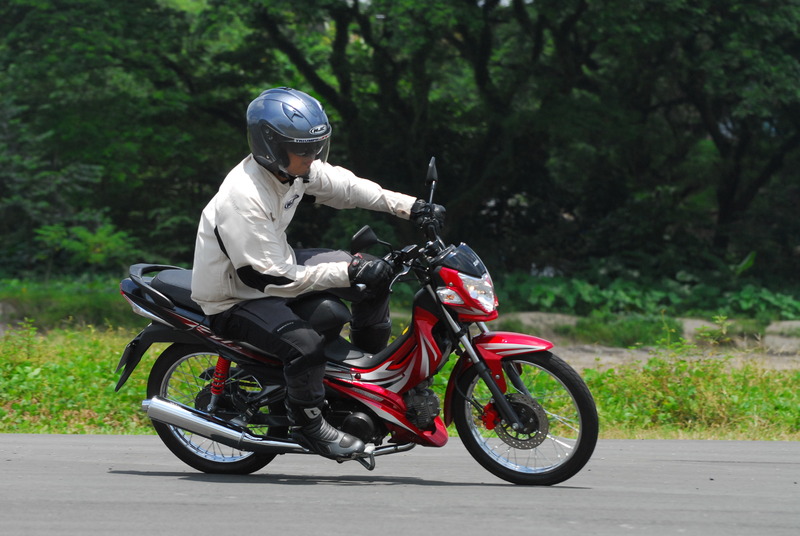 The new SYM RV1-2 Sports was formally launched at IR-SYM Track Day on July 26, 2009 in Pasay City. 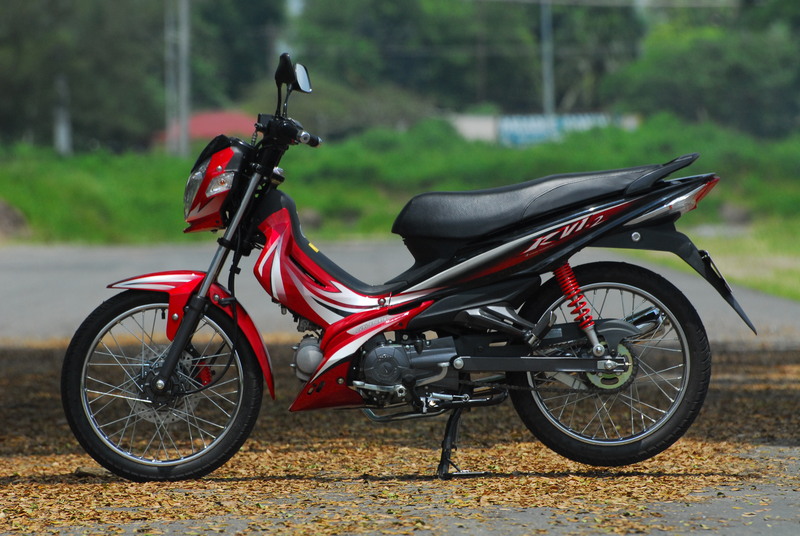 The SYM RV1-2 Sports is specifically designed for the Asian market. After its local introduction, it was also sold in other markets like Thailand, Indonesia and Malaysia. 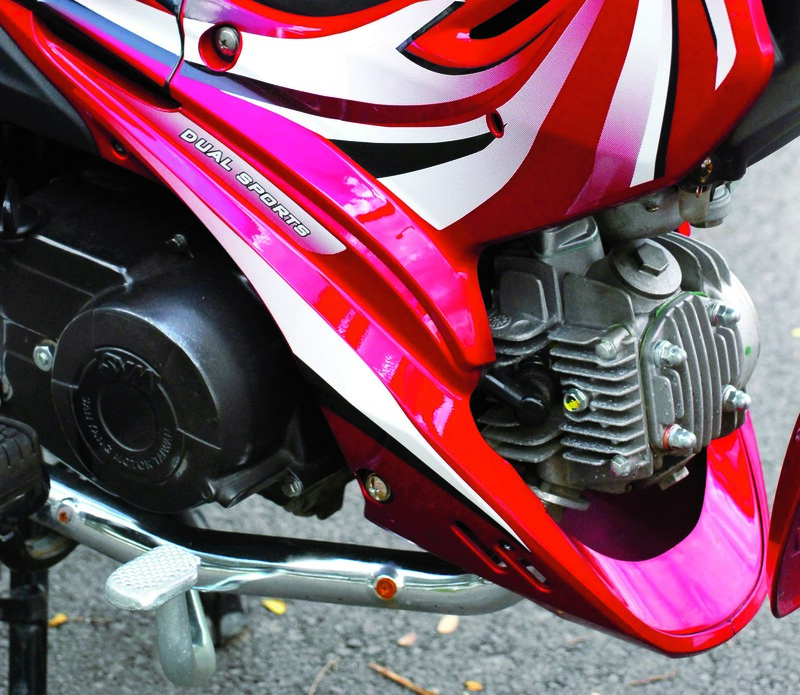 The new SYM RV1-2 is an evolution of the RV1 Dual Sports underbone. 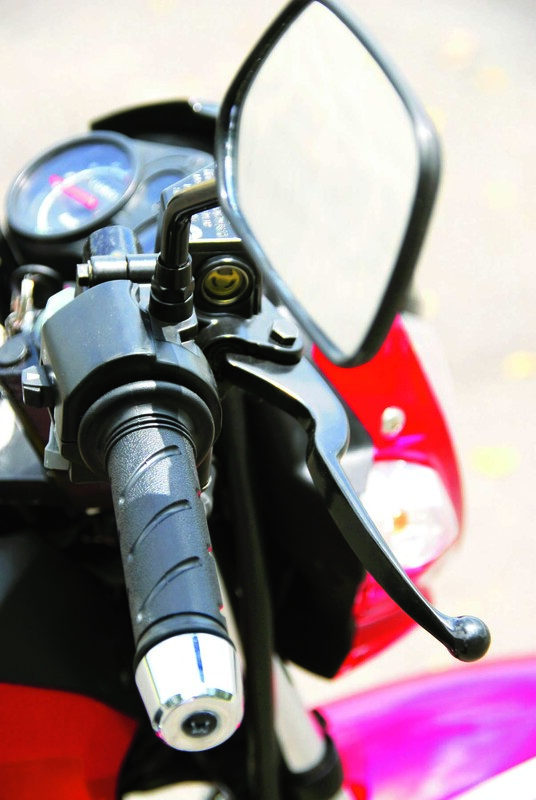 This version has a more on-road sports orientation with sporty enclosed body design, sports front fender, sports-type handlebars, sports type chrome muffler, new and unique headlamp design (an original and exclusive design by SYM), a sporty instrument panel and an engine scoop. 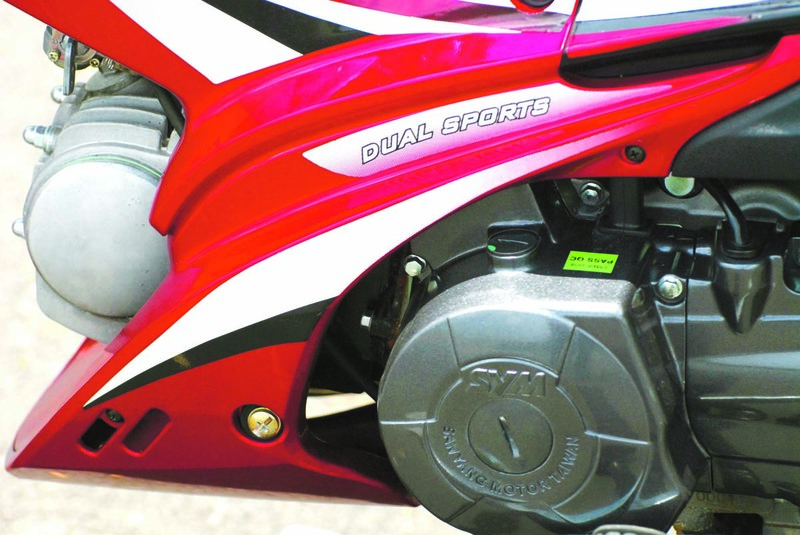 The front disk brake even comes with a sporty red caliper that matches the rear suspension. Instead of knobby tires, this model is equipped with sporty Kenda tires. It is available in three sporty colors: Grand Prix Red, Carbon Black and Bullet Silver. 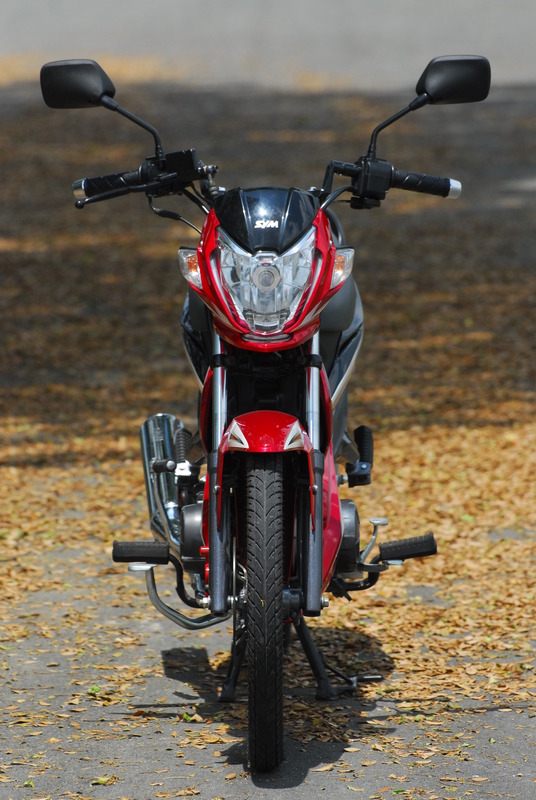 It is powered by a new smooth 108cc, single-cylinder, 4-stroke engine that delivers 6.2 PS of power. Coupled to a smooth shifting 4-speed rotary type transmission, the engine can take this 95 kg motorcycle to a maximum speed of 85kph. It not only delivers good response but also excellent fuel economy. After many laps around a wet and tight track at Boomland, our initial impression is that the engine is very strong and the build quality is very good and tight and everything is solidly built. Steering is light and precise with good traction from the Kenda tires. The torque delivery is very linear and perfect for slippery conditions. There is a big and noticeable jump in power compared to its little Bonus X brother. When we rode it fast on dry open roads, we were able to feel the smooth shifting transmission of the RV1-2 and this reinforced how strong and good the engine is. It is definitely one of the most impressive 110cc motorcycles in the market, its performance comparable to more expensive brands. 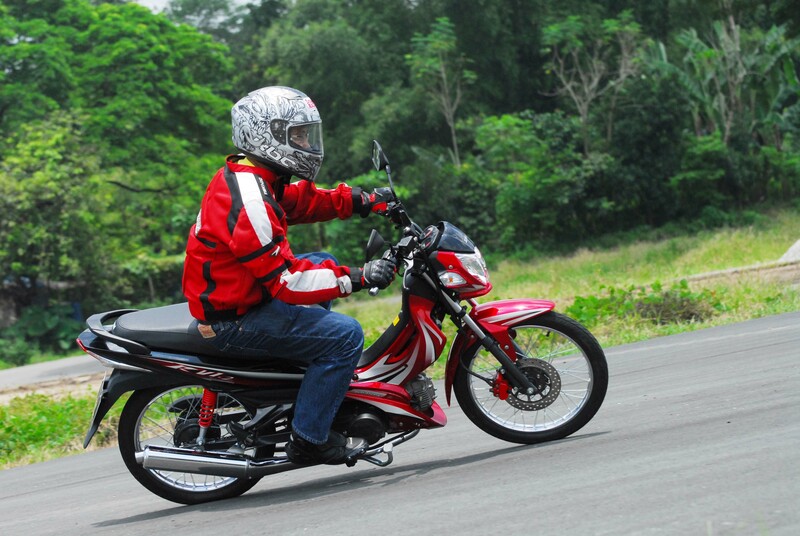 The handling is also very good at high speeds with very impressive braking performance. It is easy to move around the bike and the seat is comfortable. However, at higher speeds you do feel the limitation of the stock tires but that is easily addressed when it’s time to change the tires. 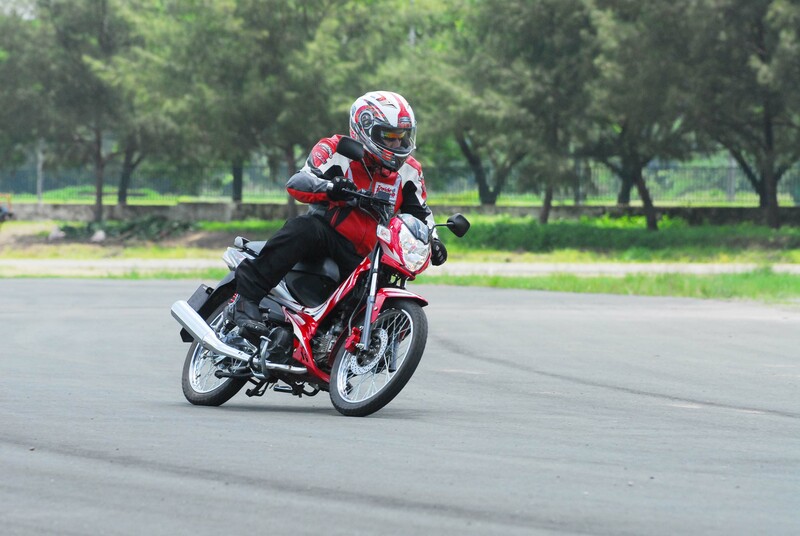 The riding position is very good and you feel like you are riding a bigger standard motorcycle. 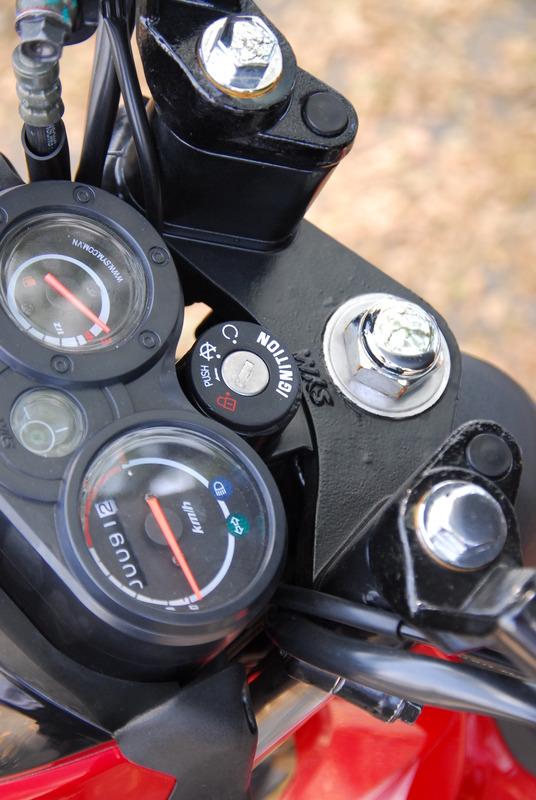 Minimal vibration reaches the handlebar which reduces fatigue and the suspension is quite soft. It is also versatile as it is equipped with a spacious under seat compartment that can accommodate a half-face helmet or few bottles of drinks with some room to spare for wallets or small purse. It is definitely best for daily commuting and long easy tours, which is its intended purpose despite the sporty aspiration.The SYM RV1-2 Sports is another well-packaged bike from the progressive Taiwanese brand. At P55, 900, it delivers a good balance of performance and value with a highly desirable engine. 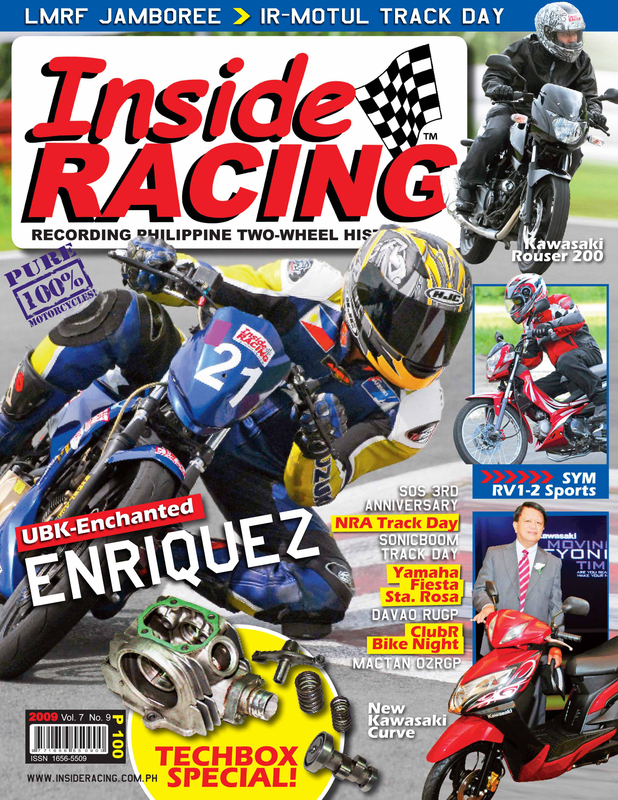 *This article was published in InsideRACING’s Volume 7 Number 9 2009 issue.